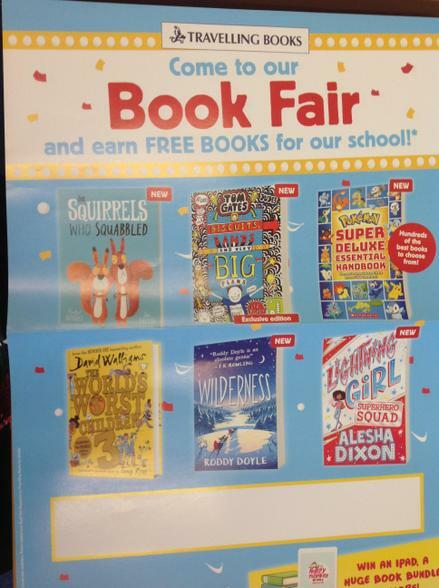 Once again the Travelling Book Fair is at school and we will be open for book sales on Friday 23rd Tuesday 27th, Wednesday 28th and Thursday 29th of November in 2ZP. Please come and support the school by purchasing items, as the money we raise helps us keep our library well stocked for all of our children in school to use and for them to take books home each week. Our target is to reach £400 in sales, thank you for your continuing support.